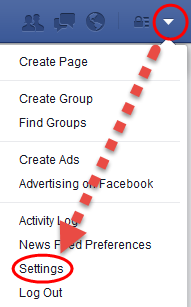 How to unlink your Facebook from your MINDBODY® app account. Don't want your Facebook account attached the your MINDBODY app account? Follow the steps below to unlink the accounts. 2. Click on the Options menu in the upper right and select Settings. 3. From the left side-menu, select Apps. 4. Hover over the MINDBODY app and click the X to remove the app. 5. Click Remove to confirm.